Pendant measures 23mm (7/8") long including bale (12mm without) and 18mm (11/16") wide. Pendant weighs approximately 1.57 grams. 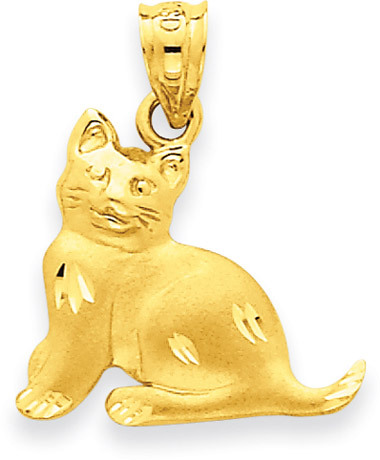 We guarantee our 14K Yellow Gold Cat Pendant to be high quality, authentic jewelry, as described above.